This past summer we did something that thousands of other military families across the nation do every summer. We moved. This move was a little bit different. This move was considered an elective move. Why would we choose to move when we already move so much? Last year about this time, my husband received orders to South Korea. With a daughter who has special needs, we knew that we would not be able to get command sponsorship and join him on this tour. He was also scheduled for a 4-month school prior to the tour in Korea. After much discussion, we made the decision to move myself and our two daughters back to our home state. There were many reasons for this. The installation we were stationed at was severely lacking in resources for our daughter, she was struggling in the school system, and being in the south, the heat restricted her ability to live a normal life. So we moved “home” to Michigan. Close to an amazing children’s hospital, amazing therapy centers, and a school system that has brought me to tears of joy a dozen times so far this school year. We have both sets of grandparents within 5 miles, aunts and uncles within an hour or so drive. So we have the support system we need to make this year plus separation successful. There is just one thing that is missing. When you move to a new military installation, you are likely to have insta-friends. Either from neighbors in military housing, meeting people through volunteering at your child’s school, or meeting friends through EFMP sponsored events. Spouses see a new face and know what it’s like to be the new person. Especially if it’s another parent of a child with special needs. We can sniff each other out a mile away. Moving to an area where there is no military installation is isolating. You don’t have those insta-friendships. And likely, friendships that were made years before you moved away the first time have dwindled. Volunteering at the school has left me empty handed in the friendship department. Cliques have been formed for years. Other parents have known each other since preschool, and a newcomer is usually not accepted with open arms. At school events, I’m looked at suspiciously. There is no significant other with me, or father at daddy-student events, but yet I wear a wedding ring. Add in that I have a child with special needs, and I feel like a leper. At school, teachers and other students don’t know what to say when my girls say they miss daddy, or daddy is gone for a long time. Other kids assume they mean a long time is a weekend. When my older daughter tries to tell them he won’t be home until next Halloween, no one understands. In a military community, there would be a handful of other children who have either been in her situation, or are there currently. Teachers get squirmy when my youngest brings her daddy doll to school when she’s having a rough day. It’s not just the friendships that are isolating either. When you do finally manage to find someone to talk to, you have to switch to a whole other language. No acronyms, no military speak. They don’t understand the woes of Tricare, what it means to miss the commissary. Despite all of this, I still think we made the right move coming here. Has anyone else dealt with this isolation? Perhaps a recruiting tour? Anyone have any tips for me to break down the barriers? – Written by MSNN friend, Kim. Kim is an Army Wife and mother to two girls; Emma and Olivia. Emma is spectrumy with a collection of other diagnosis’s thrown in for some extra fun. She is also a Child Passenger Safety Technician and Administrator for Car Seats for the Littles. I once had my daughter’s class do a project for my adopted soldier. It was a chance for the kids to learn something, do good AND really empathize with my soldiers’ child. Once they realized how long this family would be separated, they really wanted to make a difference for them. I think this may also help break the ice with the other parents. Personally, I know how hard it can be connect when you’re an “outsider.” And since people don’t know what to say, help them. Maybe send a note to your daughter’s teachers and the guidance counselor with sample responses. Tell them this is a tough time and how they can help. If you do a project, do not do EXACTLY what I did. I had a few mishaps..lol. (you can see them here: http://ginaleftthemall.com/2012/10/16/killer-snowflakes/) Even so, my soldier loved it and I heard from the teachers that the kids kept asking about him all year long. They made and sustained a connection. I hope you get many insightful suggestions from your fellow military spouses. I wish you and your family the best. Hey Gina – that’s a really great idea. Thanks for sharing! I’ll make sure Kim sees this. Try facebook for a *mommies with special needs kids” group and go from there. My friends are all people I met online first, then in person after that. We chat online every day so we feel comfortable when we meet. They all “get it” about special needs parenting and most of them drink as much wine as I do. Our family of 5 moved from CO to a suburb of Austin, TX where my husband completed schooling for two years. While this was something we chose to do, we were not near military for the first time in 22 years. Fortunately, my neighbors have been very welcoming, but I completely understand what you are saying. Its something I hadn’t thought about and realized quickly that people can be territorial. If they know you are not staying, they are very standoffish! However, my neighbors have been great and very welcoming. Still there is a barrier. Its not the same as with military spouses. I do have one friend who has been especially helpful, caring, supportive and a real friend to me and my family. My husband has gone on a deployment and we are still here, so this is our third year. I love it here and despite not having family, I would love to retire here! I never thought being away from a military installation would be something I would like. So my suggestion would be to find neighbors or join a church group or a group of some sort in your community, even if you don’t know anyone. One friend will make a world of difference. And if by chance you don’t find that person, know that this is a temporary situation. Enjoy the company of your family because you never know how far away that road is going to take you! 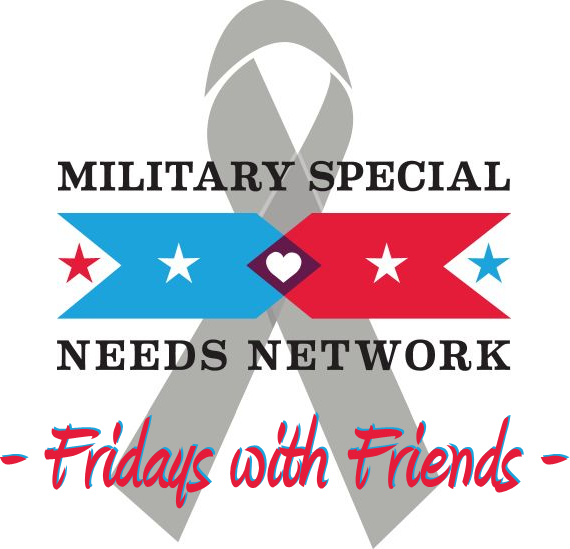 This entry was posted on November 1, 2013 by militaryspecialneedsnetwork in All, Fridays with Friends, Military Life and tagged ASD, civilians just don't understand, daddy doll, deployment, EFMP, Epilepsy, isolation, Michigan, military life away from base, Military Special Needs Network, MSNN, South Korea, TRICARE, US Army.